This is a cigarette lighter, probably from the 1940s. It may have been used in WWII. It was acquired at an antique shop. 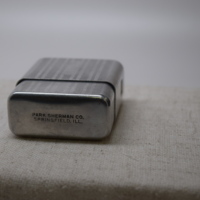 This is a Park Sherman Co. cigarette case. Park Sherman created many metal goods in Springfield, IL from the 1930s to 1960. 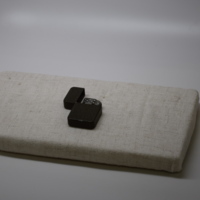 This case may have been carried during WWII. This example was acquired at an antique shop.